Yes you can include your family. There are various packaged plans, which we have and hence the inclusion of your family will depend on the plan that you will opt for. 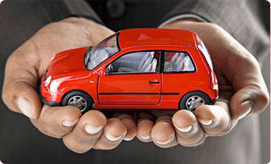 I am having Mediclaim policy with other insurance company; do I need to buy accident policy? Mediclaim policy is designed to cover the hospitalization expenses arising out of illness, sickness & accident. PA policy on the other hand is a benefit policy & the benefits are paid to the insured on the prescribed scale on happening of an accident leading to admissible claim under the policy. PA policy can be extended to cover the reimbursement of the medical expenses on payment of extra premium. What is the meaning of dismemberment? Loss of, or loss of use of, specified members of the body resulting from accidental bodily injury is called dismemberment. What do you mean by permanent partial disability? If the death occurs naturally, will my dependants get the reimbursement on behalf of me? No, personal accident policy does not cover natural death. Only deaths due to accident will be covered. What are the benefits under accident policy? Benefits under the Accident Policy are as mentioned. Details are mentioned in policy certificate provided by us. What are the various exclusions in an accident policy? For details of exclusions refer the policy documents. Will my accident policy cover me even if I am out of the country? The coverage offered under the policy is on worldwide basis. So the policy covers any accident happened even abroad. However policies are also issued which are locations or time basis. Please check the policy document for the confirmation. What is the reimbursement under hospital cash allowance? Hospital Cash allowance pays a fixed daily benefit to an insured person for being admitted in a hospital because of an accident. The benefit amount and the number of days for which the payment will be made are based on the cover taken by you. The Amount paid is compensation and is not restricted to actual expenses that one incurs in the Hospital. Note: Hospital cash allowance is an additional cover under accident policy on payment of additional premium. Am I covered for accidents arising of sports? Amateur sports will be covered. While you are covered for most of the normal, non- hazardous sports, Professional sport and any racing are not covered. How do you define hazardous sports and activities? The following activities and sports are not covered by the policy: Whilst working in underground mines, explosives, magazines, workers involved in electrical installation with high tension supply, jockeys, circus personnel, Engaged in activities like racing on wheels or horseback, big game hunting, mountaineering, winter sports, rock climbing, pot holing, bungee jumping, skiing, ice hockey, ballooning, hand gliding, river rafting, polo and persons engaged in occupation / activities of similar hazard. If I am hijacked on a plane and die as a result, am I covered? I am a pilot / glider / balloonist / parachutist - am I covered if I die from an accident? NO - Only people traveling as a passenger on a registered standard airline are covered. What are the documents required to process a claim? The following is the indicative list of documents required for processing a claim. In case of permanent total disability, disability certificate from competent authority. What is the process of intimating a claim? The claim can be intimated by either writing to us at the address mentioned in the policy or just give a call at the toll free number, mentioning the policy number / certificate number and name of insured and we shall take the claim process forward. What do you mean by the term “MLC Copy”? MLC Copy, a Medico – Legal certificate is the certificate signed by the policeman and issued by the hospital for medico legal cases (cases where police need to be kept informed). On admission to the hospital, hospital medical staff will identify the cause or nature of illness / disease / accident and if required will inform the police about the case. Policeman will visit the hospital to enquire the cause and sign the MLC Copy. In case of PTD claims – Disability Certificate from Govt. Registered Medical Practioners. Certificate issued by the respective educational institute under which the child is taking the education clearly eliciting his name, his father & mother name, his age, nature of education he is taking, and expected time frame when the said education would be completed. Other documents would be same as mentioned under Death OR Dismemberment / Disablement Claims. Cash-memos for the medicines along with supporting prescriptions. Investigation Bills and payment receipts for same. Other documents would be same as mentioned under Weekly Benefit OR Death OR Dismemberment / Disablement Claims (As per the applicable case). Original Hospital Discharge Card along with the documents same as mentioned under Weekly Benefit OR Death OR Dismemberment / Disablement Claims (As per the applicable case). Documents pertaining to the loan availed from the financial institution clearly eliciting the EMI per month, balance no of months the EMI is applicable and the balance amount under the loan. (The said documents should be duly authorized by the respective financial institution from which the client has availed the loan). Other documents would be same as mentioned under Death OR Dismemberment / Disablement Claims (As per the applicable case). Document eliciting the normal place of residence of the deceased covered under the policy issued. E.g. : Certified copy of electricity bill, telephone bill, etc. Other documents would be same as mentioned under Death claim. Original Cash-memos for the expenses incurred by the insured / client to modify his vehicle OR make some changes in his house as necessitated by a Permanent Total Disability which resulted from an accident covered under this Policy along with the payment receipts. Certificate issued by the attending doctor certifying the necessity to modify his vehicle OR make some changes in his house as necessitated by a Permanent Total Disability which resulted from an accident covered under this Policy. Document eliciting the normal place of residence address of the deceased covered under the policy issued. E.g. : Certified copy of electricity bill, telephone bill, etc. Certificate issued by the attending doctor certifying the personal attendance to the insured / claimant / patient by an immediate family member due to an accident covered under this policy. Original Bills for the expenses incurred by the immediate family member for transportation by the most direct route by a licensed common carrier to the place of confinement of the Insured Person along with the payment receipts.